The brand-new Camunda Modeler based on bpmn.io just proved that it can already play in The Champions League of BPMN modeling. 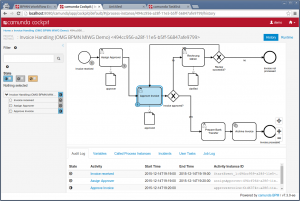 What is The Champions League of BPMN modeling? 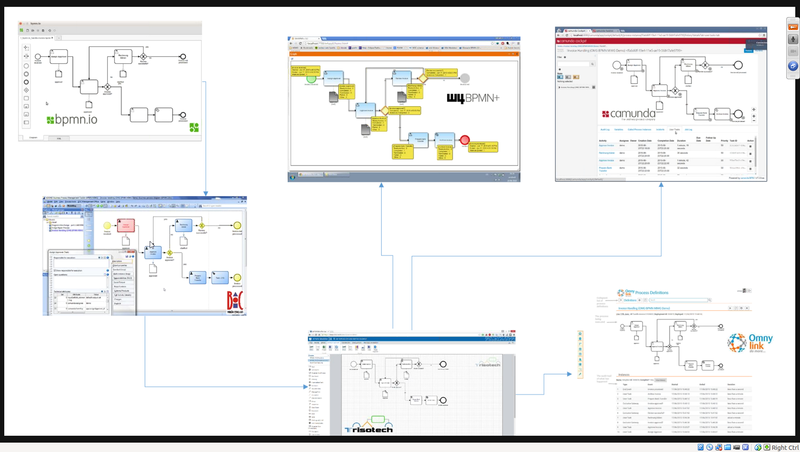 Well there are dozens if not hundreds of tools that can draw BPMN and produce the process diagrams that we have all come to love in the last 13 years. That is not really a challenge in 2015. 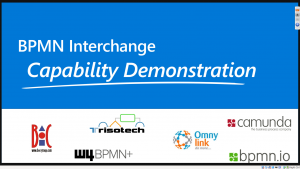 The Champions League in terms of BPMN is represented by the Model Interchange Working Group (MIWG) at the OMG. It provides a test suite for training the tools and also organizes live demonstrations several times a year. Which talents and skills are required to qualify? There wouldn’t be a Champions League, without a nice final showdown of the teams. This season’s showdown took place at the BPM Eastern Europe Summit on Monday night. All this made the model executable in no less than three different process engines, namely Omny Link, W4 and of course Camunda BPM. I think it’s safe to say that a BPMN stunt like that had never been tried before. Three different modeling tools from Trisotech, BOC and Camunda accepted the challenge. During the demo each tool imported the model, changed a task name and exported the modified model. After that, all three process engines moved on to execute the result. If a single attribute would have been lost on the way, the execution on at least one engine would have crashed. However, the process model worked perfectly in all engines. 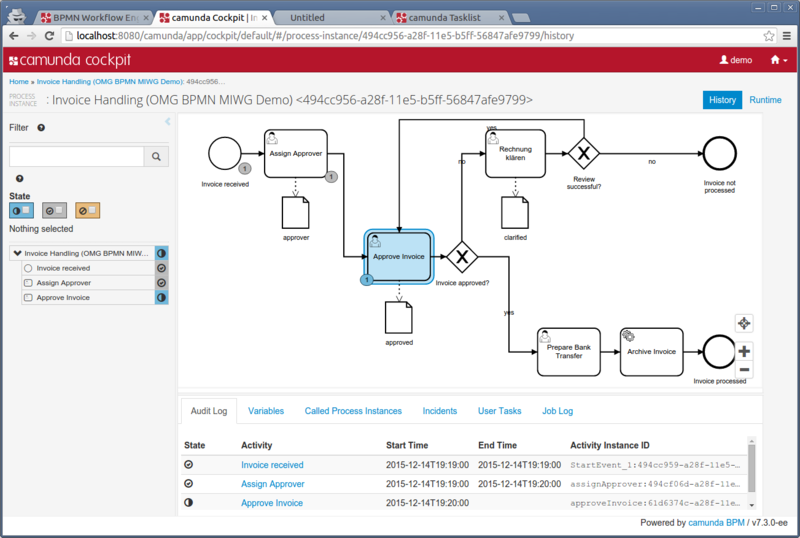 If you want to automate your core business processes with an engine like Camunda BPM, your Business and IT departments MUST communicate well and work together. BPMN is a very good language to help with this. But not every BPMN tool is equally suited for both of these target groups. In fact, there are many good reasons for using different specialized BPMN modeling tools for different departments. 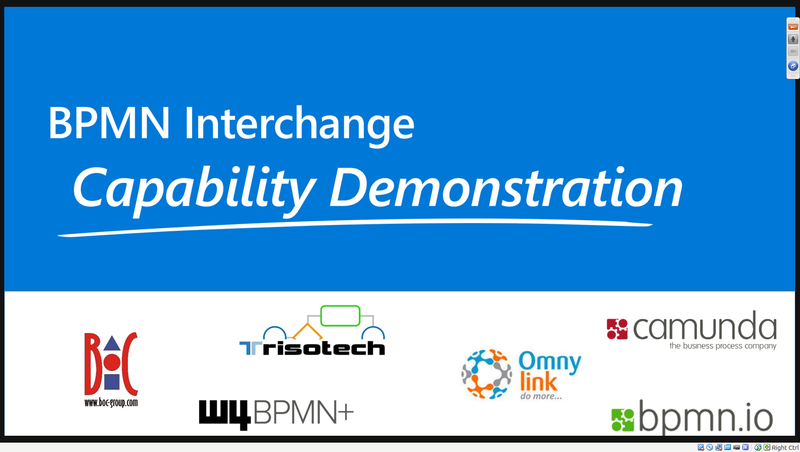 There is just one talent the tools need to have in common: They MUST communicate well using BPMN 2.0 XML. If any of the tools loses a single attribute, you’re going to have surprises during execution. Or at least a lot of manual fixing will need to be done after each and every modeling iteration. Try the new Camunda Modeler yourself!